Driver’s license: All valid driving licenses from countries of the European Union (EU) are accepted. If your driving license is not from the European Union, a valid driving license from your country written in English is accepted. International driving licenses are also accepted. Photocopies are not accepted. Driver/s should hold for at least one year the driving license. If you are not sure if your driving license is ok, before booking please contact us through email or telephone for more information(it is prefered also to send a photo by email of your license both sides). Minimum age limit for car is 25. Maximum age limit for car is 72. If you are out age limits please contact us before booking through mail or telephone for more information. The car hire company’s age-related charges and restrictions will apply to all additional drivers. Internet, online system bookings: All internet online bookings must be done at least 36 hours before your pick up date and time. Car bookings: Bookings are made by car category and not by car model. 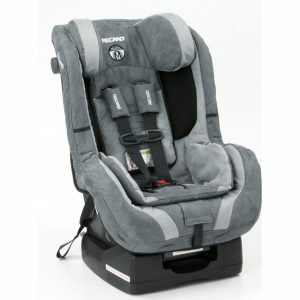 Baby and Booster Seats: Free and available upon request on the reservation form. 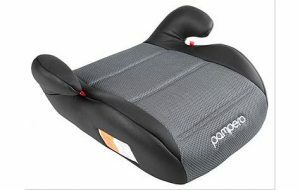 Baby seat for ages 0-3 years old and booster seat for ages 3-6 years old about, depending on height and weight. If you are not sure which one you have to choose please contact us through mail or telephone for more information. On reservation form you can add as comment the details of your baby/child (Exact age, height and weight). 2nd and 3rd additional drivers are free of charge. The cost to add an additional 4th driver is 3,00 € including tax, per day. The car hire company’s age-related charges and restrictions will apply to all additional drivers. (our staff will let you know about the type of fuel you have to use). Refunds are not given. Payment Methods: Cash money and all credit, debit cards(Visa, Mastercard, American Express, Maestro, Discover, UnionPay and Diners) are accepted. Ferrying the car out of Corfu: Clients wishing to drive the car out of Corfu should let us know in advance and must have a written authorization from our company. Plus an extra charge is required for road service and kms-mileage of mainland and other islands (Rate varies according to vehicle category). An open card is required for safety reasons. Taking the car outside of the National borders of Greece is prohibited. Process of Cancellation: By e-mail or telephone any time with no charge. For Corfu airport pick up, on the reservation form is a specific box to enter your flight arrival number. If you do not have a flight number at the time of the reservation, you must inform us at least 3 days before your rental is due to start. Please ensure that you enter your flight number and not any other number the airline may have sent you, such as a confirmation number. At the airport our staff will be waiting for you outside the area you pick up your luggage with a file in hands with your name on. For pick up at New-Cruise Port of Corfu your car will be at our head office (SUNRISE). For pick up at hotels, villas and apartments our staff will be waiting for you at the reception of your stay. Please don’t forget to include the name of your stay on the reservation form. For any other destination please let us know all the necessary details. If you have already completed a booking without supplying your flight or accommodation details, you can send it to us by email at info@corfusunrise.com or by phone at 00302661044325. Transactions: Transactions are made in Euro. Please note that we are not able to make any transaction in any other currency except if it’s agreed with our represative. For more information please check the rental terms at the end of the checkout page. Rates, car models and terms are subjects to change without previous notice.